Trying to get your holiday shopping done? Or making your own list for Santa? Either way, I’m here to help you with a list of great fitness gift ideas that go beyond leggings. I rounded up 5 must-have gifts for the fittest women on your list – including yourself! Suffering from muscle soreness? The innovative Moji Heated Roller packs a one-two punch to relax tight muscles and help you recover from a tough workout. How does it work? The foam roller design and pattern combine with heat therapy to target your muscle tissue and stimulate the flow of blood and oxygen. It’s a game changer when it comes to pain relief and recovery! 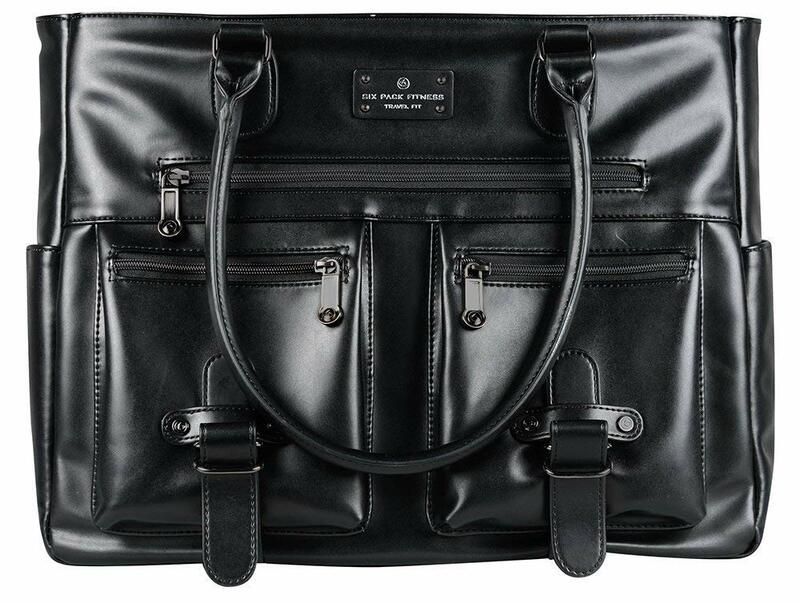 This Six Pack Fitness Renee Tote is sleek and packs away 4 meals for an 8-hour workday. It has an insulated modular core system that keeps meals fresh and organized all day. It is preloaded with 4 snap lid containers, 1 nutrition compact for supplements and 3 gel packs to keep meals organized. The large zipper main compartment included an interior sleeve for a laptop up to 13 inches, plus organizational pockets for accessories. Designed for the professional fit women who like to eat healthy on the go. Remember when Calgon used to take you away? Well these days, it’s Dr. Teal. These Epsom salt soaks are the ultimate for relaxing and recharging. 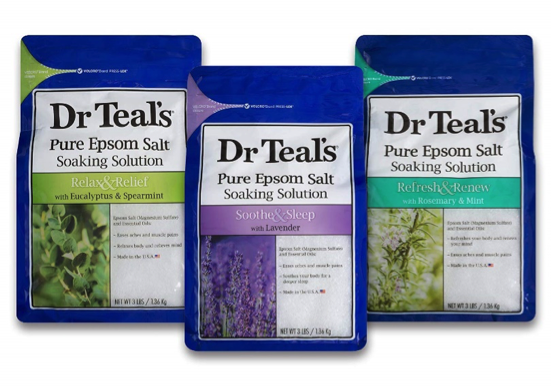 With a mix of Epsom salt and essential oils, Dr Teal’s soaks help reduce inflammation, relieve stress, and provide relief for achy muscles. After a hard training session, pour one of these solutions into your tub, lay back, and soak – divine! Exercising with great workout buds makes your workout even better. The Anker SoundsBuds Wireless Headphones are Bluetooth, with built-in mic and carry pouch. These have clear sounds quality and noise cancellation technology. They are customizable for the perfect fit to keep them in place during touch workouts. And last up to 14 hours of battery time. Plus, they’re sweatproof! Get ready to tackle your toughest workouts with these chic wireless headphones. I couldn’t have a wish list for women who workout without actually putting any fitness gear on it! So to round out my list, check out this set of resistance bands from Black Mountain Products – an all-in-one set that you can take anywhere. This is the perfect gift for anyone from beginner to expert who wants to continue their strength training program at home or on-the-go. For even more ideas, check out my favorite products on my website. I have a long list of supplements, gym equipment, and other miscellaneous gift ideas for any fitness buff. If you want to take your fitness game to the next level and boost both your confidence and your results, check out my services page. 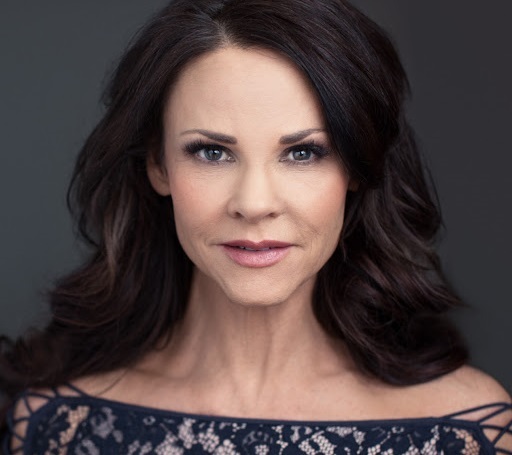 I offer one-on-one training and online programs with a personalized approach. Let me help you find your strength! I’m a fitness coach for women. 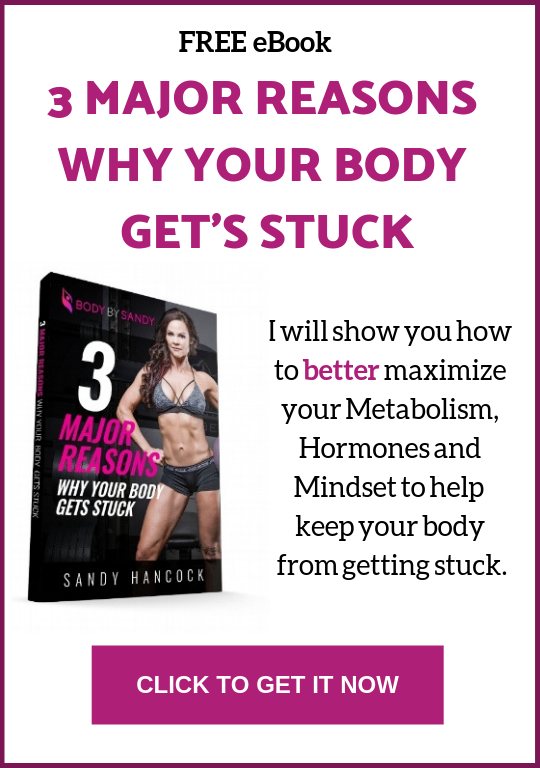 I Share Advice On Training & Nutrition To Help You lead A healthier lifestyle. Celebrate International Women’s Day: Be Bold For Change!